Knockout Hair...in minutes! 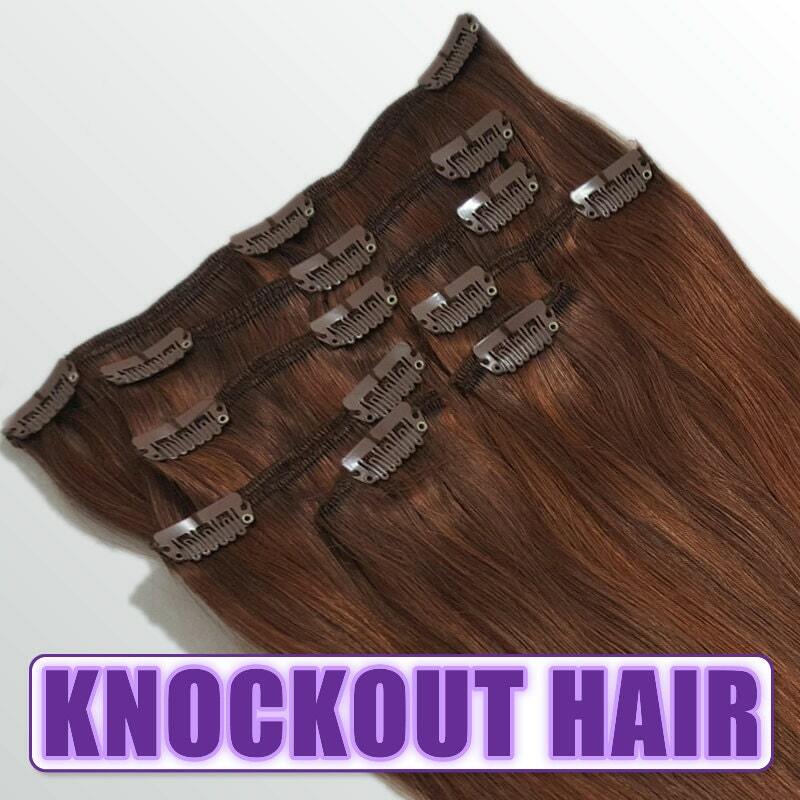 Knockout Hair Clip In Human Hair Extensions are a revolution in hair extensions and are one of the most amazing and fun products you will love to wear! 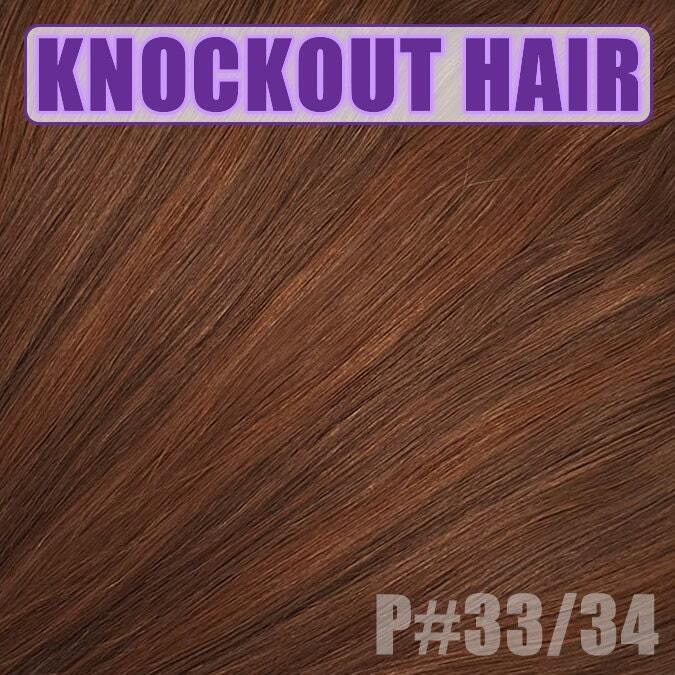 Knockout Hair is amazing in quality and simple to apply! Now you can have longer, thicker, more voluminous Knockout Hair in a matter of minutes! With only 7 pieces and 15 clips you now have minimal pieces and clips to put in your hair saving you time and effort. No unusable 1" pieces to mess with. Your set comes with two 2" pieces, two 4" pieces, two 6" pieces, one 8" piece and 120 grams premium grade AAAAA high quality hair including clips. Most other lower cost sellers are selling single A to AAA lowest grade hair and far less grams of hair. 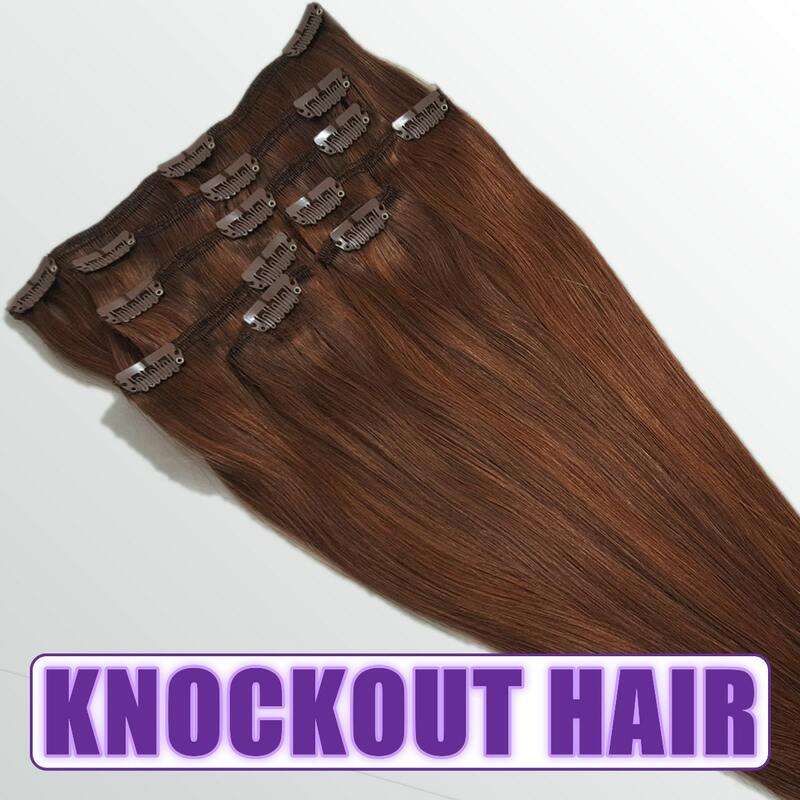 Knockout Hair really is the best quality for the price on the market. We are so excited for you to wear your new set of Knockout Hair and can't wait for you to try it for yourself. We really think you will love it as much as we do!